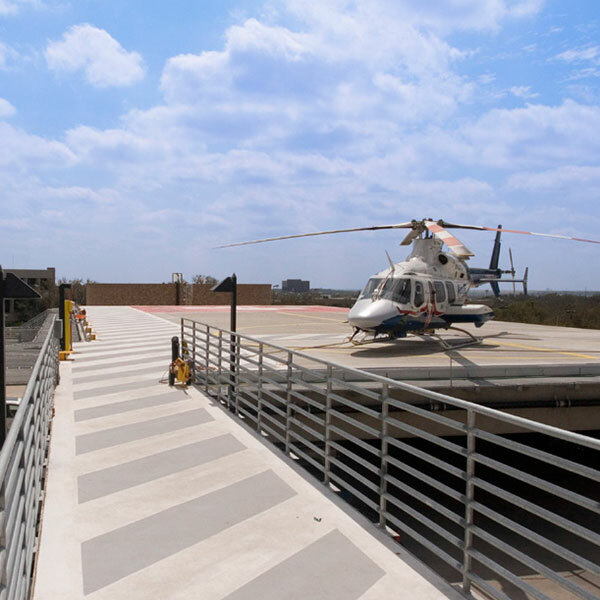 Journeyman Construction served as the General Contractor for the University Hospital’s construction of an addition of the heliport to an existing parking garage. 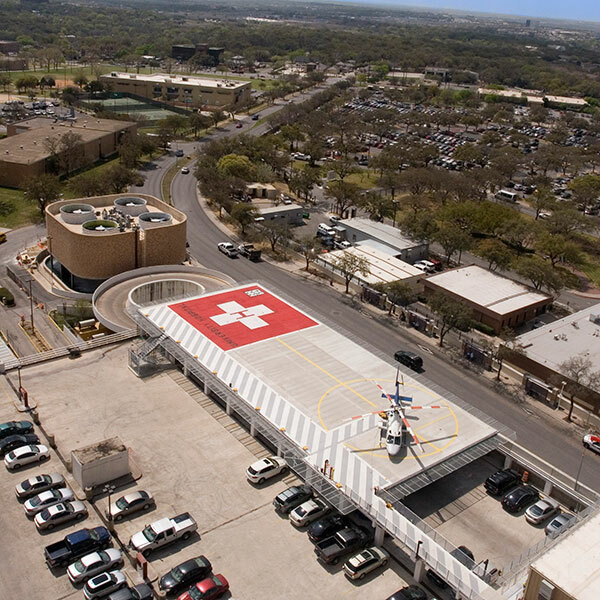 The project was located in and next to an operating hospital and included the construction of a new level of the parking garage, installation of a new triple wide operations trailer, a new foam fire suppression system, a new fuel storage and distribution system and a new entrance to the hospital. This project also included a new fire alarm system, communications and security systems, as well as parallel backup emergency systems. The scope of work included demolition, site work, paving, concrete, utilities, electrical, HVAC, structural steel platform, guard rails, installation of an above ground fuel storage tank and underground fuel lines, lightning protection, heliport lighting and landing pad safety netting. Journeyman’s existing safety program was updated and intensified during this project to insure the project was completed incident free. 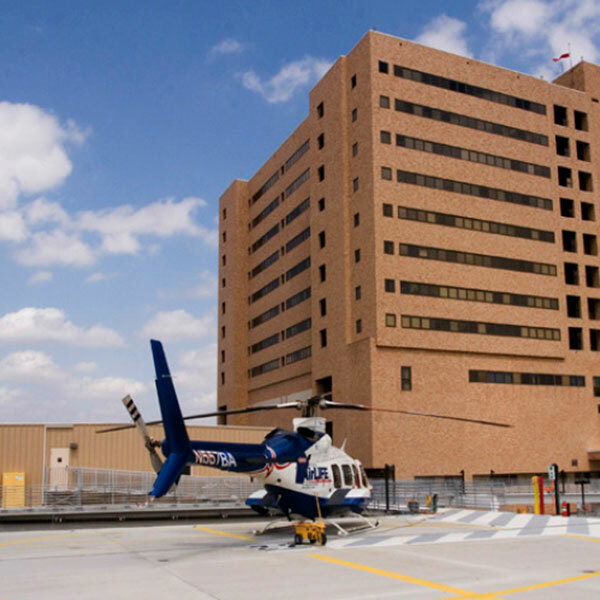 The schedule was a critical element since this project needed to be completed prior to construction of a new hospital tower. Journeyman worked two and three shifts to help bring this project in as quickly as possible despite the numerous design changes with no lost time accidents. One of the more specialized segments of the project called for the installation of an above ground storage tank and the construction of a stainless steel Jet A fuel supply system that included a refurbished pump skid with a new filter vessel.